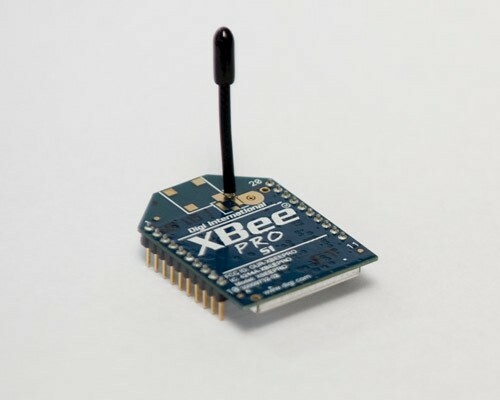 The XBee-PRO® OEM RF module is an IEEE 802.15.4 compliant solution, that satisfies the unique needs of low-cost, low-power wireless sensor networks. The module is easy-to-use, requires minimal power and provides reliable delivery of critical data between devices. Series 1 60mW (18dBm), 100mW EIRP power output (up to 1 mile range). Industrial temperature rating (-40 to 85°C). Approved for use in the United States, Canada, Australia and Europe. Advanced networking & low-power modes supported. This is the matching Airside Unit to the Xbee purchased earlier. Ground to ground range is more than 100 meters. I got fed up of walking away. Very easy firmware upgrade. Recommended. Excellent service as always from Martin.